Having never been the parent of a toddler, I can only guess that the main benefit of rock musicians recording children’s music is that Mom and Dad can listen without wanting to blow their brains out. I’ve been to a few Ralph’s World concerts at the Palatine Street Fests and while I didn’t do the Marching Ants dance, I could appreciate the way Ralph Covert from The Bad Examples mixes clever and positive messages with power pop arrangements. They Might Be Giants, Jason Ringenberg from Jason And The Scorchers, and Dan Zanes from The Del Fuegos have also created modern rock for knee-high people. 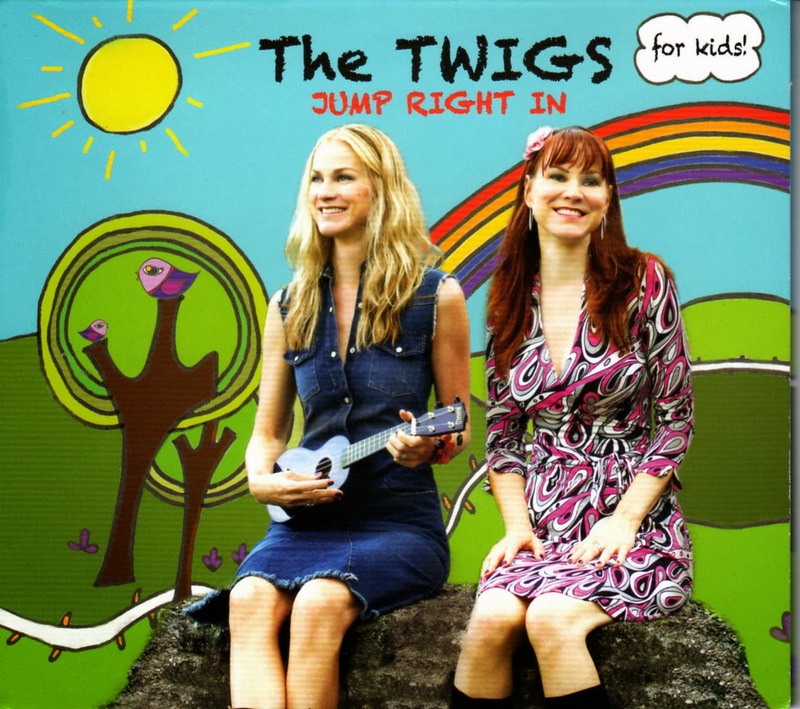 It’s been a while since The Twigs, a popular indie rock band on the Chicago club scene in the mid-1990s, released a full-length effort. Founding members Laura and Linda Good now live in different states, and until recently, only got together professionally for the occasional live gig. Jump Right In, a CD of kids music wouldn’t have been their fans’ first choice for a reunion, but with some singing and writing assistance from Laura’s daughter, Alena Touve, The Twigs have created a fun, well-crafted collection of music on that won’t drive adults crazy. In fact, almost half of these songs would easily fit in with what the current crop of indie rock artists are recording these days. “Panda Bear,” which might stick in your head until the next millennium, and the lullabye “Pretty Ponies” are among the songs strictly for kids, but they’re augmented with the Good sisters’ gorgeous harmonies. The standard “Frere Jacques” is given an ambitious vocal arrangement that sounds like angels singing a round, and the silly “Blueberry Jam” is a finger-snapping, bluesy romp. Jump Right In opens with “I Got A Great Idea,” a breezy Americana tune featuring Nate Leath on violin, and the title track describes a trip to the beach using a Beach Boys meet new wave music arrangement. The mid-tempo “Sunshine” celebrates mutual love and support, while the optimistic “Baby, Don’t Cry” offers sentiments like, “It’s all right to be sad for a while, but I’m here now” to an infectious, shuffling beat. Despite pursuing a completely different type of music this time out, Laura and Linda Good were still able to play to their strengths, and that bodes well for any future plans they may have for recording together.